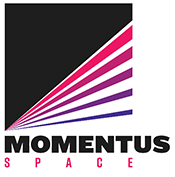 Momentus, a provider of in-space transportation services, has announced that the company is taking orders for their Vigoride and Vigoride Extended services (orbital repositioning for satellites with masses up to 250 kg.) and have signed their first customer — EXOLAUNCH — in a contract worth more than $6 million. EXOLAUNCH (formerly ECM Launch Services) is a leading European launch services provider and cluster integrator that will first use Vigoride in the fourth quarter of 2020 and Vigoride Extended in 2021. A graduate of the Y combinator program and based in Santa Clara, California, Momentus is currently perfecting both Vigoride and Vigoride Extended to perform last-mile delivery in space for payloads up to 250 kg. Prospective customers can download the Vigoride services datasheet to determine if Vigoride is correct for their needs. The Vigoride service is designed to support smallsats and cubesats in LEO. Vigoride Extended is capable of delivering smallsats throughout HEO and MEO, including GEO, Lunar orbit, and beyond. Momentus employs new and proprietary technology including water plasma engines for the mission of low cost sustainable transportation though space. 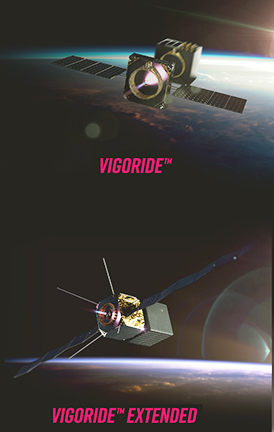 Vigoride and Vigoride Extended are the first two offerings in a pipeline of planned Momentus services that will grow over time to be capable of repositioning multi-ton payloads from low Earth orbit to many different destinations, including geosynchronous orbit, the Moon, and interplanetary transfer. Dmitriy Bogdanov, CEO of EXOLAUNCH, said “EXOLAUNCH has booked Momentus’ in-space transportation services to provide our clients a unique and effective orbit transfer service. The Vigoride service will be used to deploy CubeSat and micro satellite constellations to multiple orbits, giving clients an unprecedented flexibility of satellite deployment, reducing the price of launch, and giving access to orbits not typical for ridesharing vehicles as early as next year. The company also plans to deliver smallsats to GEO using the Vigoride Extended service. Momentus will enable the firm to service a larger segment of the market by enabling customers to reach custom orbits in an efficient and cost-effective manner. Momentus CEO Mikhail Kokorich added that the company designed Vigoride to put a client's satellites exactly where they need to be in space. The company is delighted to be partnering with such a pioneering and innovative company as EXOLAUNCH to show the first value proposition of the Momentus product chain. “Momentus uses radical innovation, agile development methods, breakthrough technology, and practical manufacturing methods to dramatically reduce cost and improve performance. Our customers are very excited about the resulting cost savings and mission benefits we can provide.”, said Momentus CTO Dr. Joel C. Sercel. The first leg of a satellite's journey will include a ride along with Vigoride on a rideshare on a large rocket, a dedicated small launch vehicle, or deployment from the International Space Station. The Vigoride transfer vehicle then carries a satellite, or constellation of satellites, through space to their final destination orbits. The Vigoride service is infinitely flexible and can deploy up to dozens of individual satellites in custom orbits as part of a single mission. 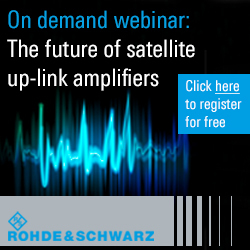 Growth in the small satellite market continues to accelerate driving demand for the services Momentus has pioneered. The total number of satellites deployed to low Earth orbit is projected to grow from the under 3,500 that have been launched in the past two decades to several thousand within the next five years. With the Vigoride service available for customer orders now, Momentus has achieved unprecedented performance and safety at an unbeatable cost. With limited availability, customers will be serviced on a first come first serve basis.